Our firm is Hub Certified, our attorneys are licensed with the Texas and Louisiana State Bars, as well as within the Northern and Eastern Districts of Texas, and we are equipped to assist general contractors, subcontractors, suppliers, sureties, lenders, developers, design professionals with their construction contracts. Protecting your investment, and your work, can require detailed contracts. Whether you are the owner, or an experienced general contractor, or experienced sub-contractor, there are times when you need legal help to assist you through the contract process. With the significant investments at stake, you want to be sure that your rights are protected. Our law firm can assist you, and guide you, in the negotiation and drafting of construction contract documents including contractor and sub-contractor agreements. We will work with you on your project’s front end to protect your rights, and if needed, work with you throughout the project to help get your construction project completed successfully. We will review your contract to advise you of the legal issues that can arise and we will recommend changes when needed. We understand that at the end of the day, whether you sign the contract, will be a business decision. Our role is to put you in the best position to be able to make that decision. Allow us to review your general or subcontractor agreements and help put you in a better position. 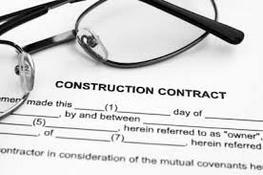 General contractors, subcontractors, suppliers, sureties, lenders, developers, design professionals and owners interested in having TFW draft or review a construction contract are encouraged to ZAD LAW FIRM, to schedule a consultation. ZAD LAW FIRM, PLLC is a HUB Certified company ready to serve your needs.